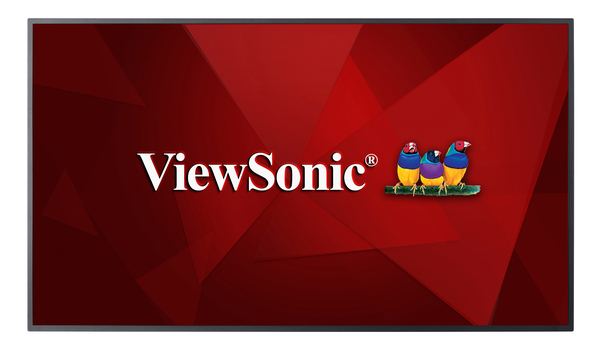 The ViewSonic CDE6510 is a great value 65’’ 4K LED commercial display with high-reliability 16 hours per day/7 days a week operating time. The embedded Android SOC enables CDE6510 to install Android apps for rich content broadcasting while the Intel OPS PC slot supports higher computing performance with 4K DisplayPort for a wide range of user scenarios. A built-in browser offers a convenient method for displaying internet content without a PC. In addition to versatile connectivity options, including 4K DisplayPort, HDMI, VGA, USB, IR, RJ45, the display comes with a convenient USB multimedia playback function. With 3840 x 2160 resolution, 350-nit brightness with 178-degree wide viewing angles, and 2 x 10W stereo speakers, the slim-bezel CDE6510 delivers vivid images and remarkable sound for superior multimedia performance. The HDMI CEC pass-through support provides one control for multiple HDMI-connected devices while the free-bundled vController software makes remote display management easier via RSS232/RJ45 port. The display also comes equipped with Blue Light Filter technology to create a more comfortable viewing experience. For more powerful computing, the CDE6510 provides an Intel OPS (Open Pluggable Specification) PC slot for plug-in PC module VPC12-WPO (Optional) which is powered by Intel Unite® and Intel vPro™ technology.